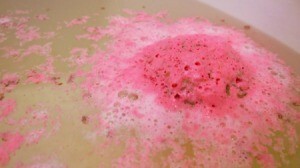 If you are making homemade bath bombs and they won't harden it can be frustrating. This is a guide about homemade bath bombs won't harden. I am having troubles getting my bath bombs to harden. I have tried 3 different recipes and STILL my bath bombs crumble when I pick them up. I am using "fruit fresh" as the citric acid. I read you can use this. They do not harden at all. They are still moist after 3 days of drying. What am I doing wrong? Is it humid where you live? You need to make them on the driest day possible, it makes a huge difference. I make them using honey and oils. I use witch hazel in tiny bursts in a spritzer after everything is mixed thoroughly and I continue to mix with my hands, a bit like rubbing butter and flour to make pastry but you need all the lumps out. It has to be the consistency of a non-slushy best quality snowball when you squeeze it gently in your hand. When I first started I found they molded ok, but took ages to dry out so I added a bit less oil and honey. If you find a recipe that works for you it may be a good idea to weigh everything on a digital scale in grams and keep a record, as grams are a more precise measurement. Hope this helps! I recommend just using Citric Acid. If you tried three different times with the fresh fruit that may be the problem. I tried making them for the first time and no problems! Hope it works!